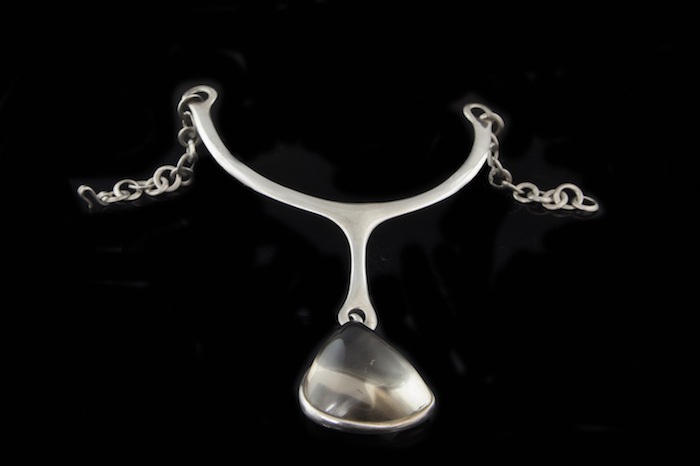 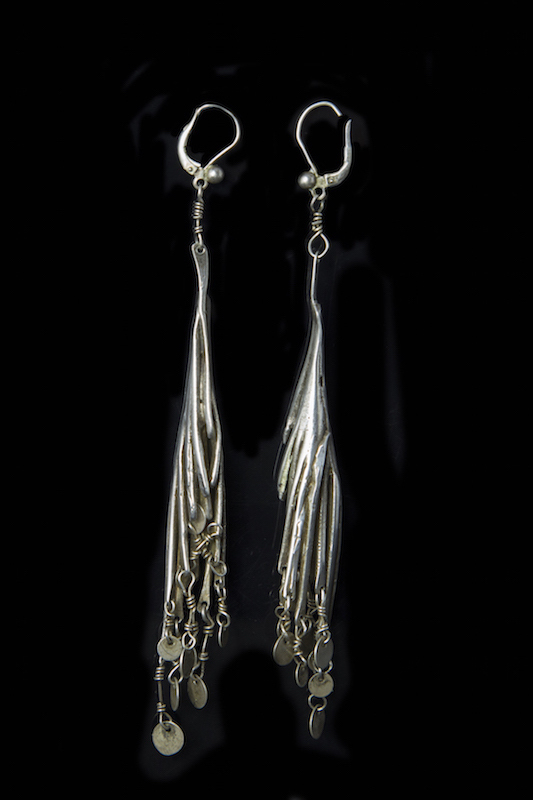 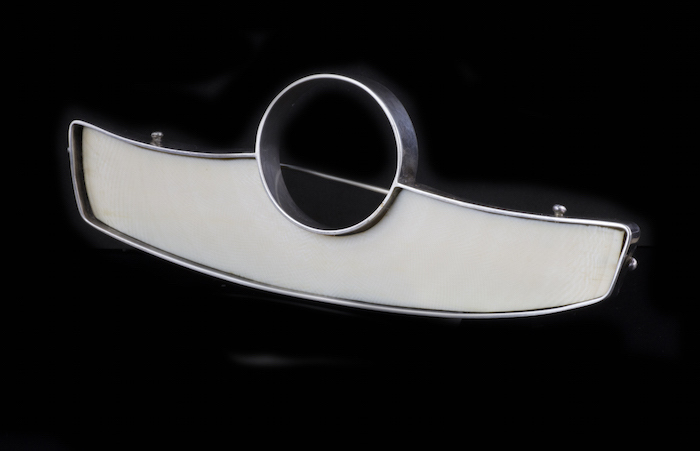 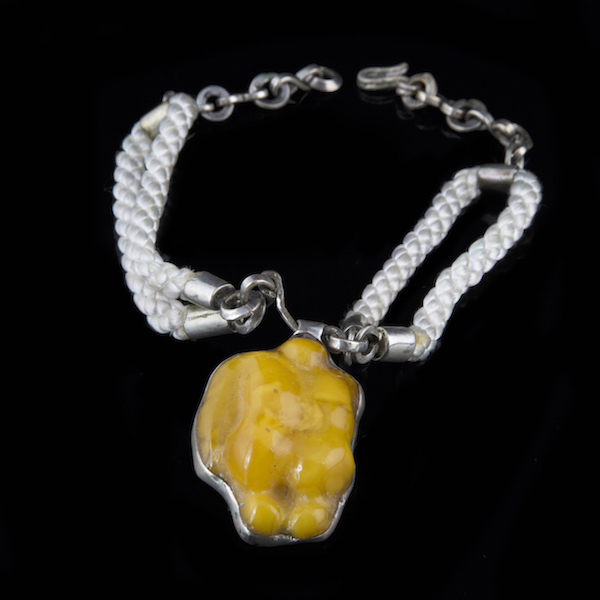 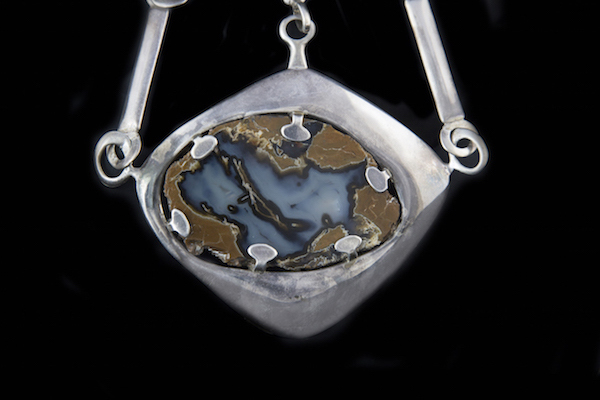 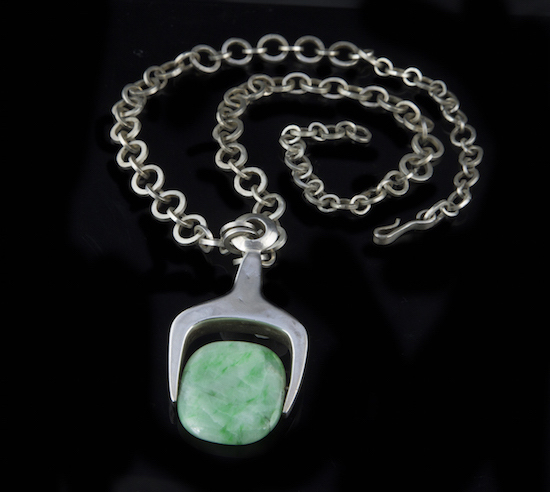 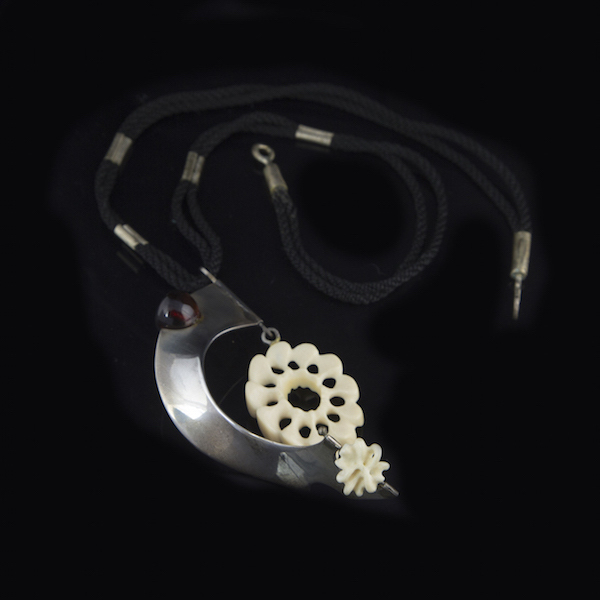 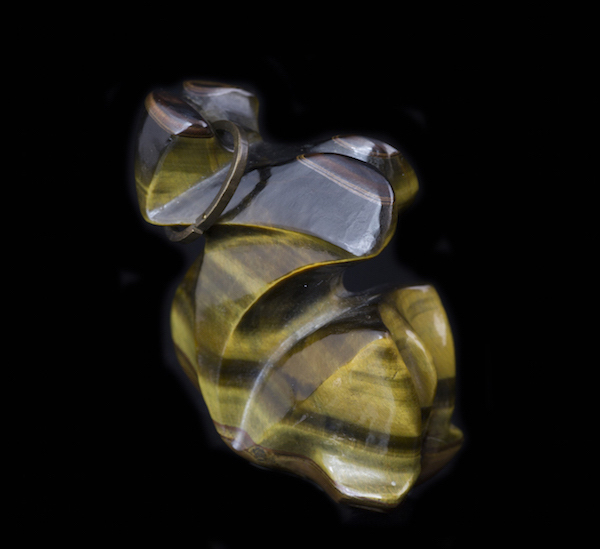 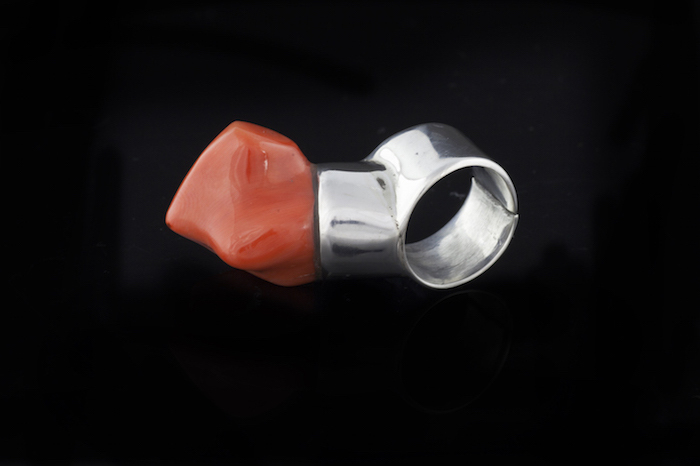 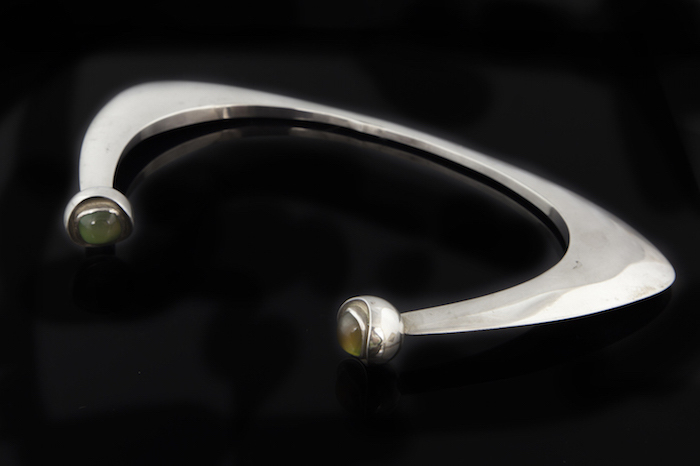 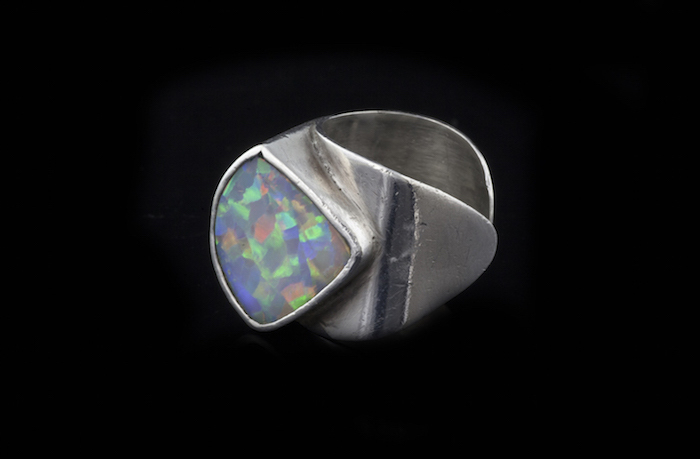 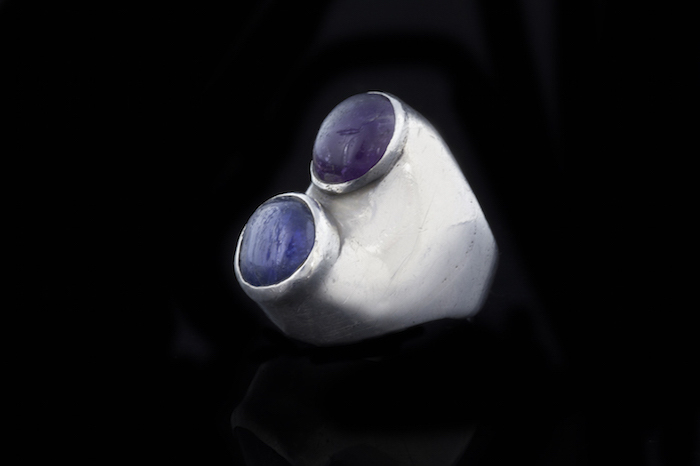 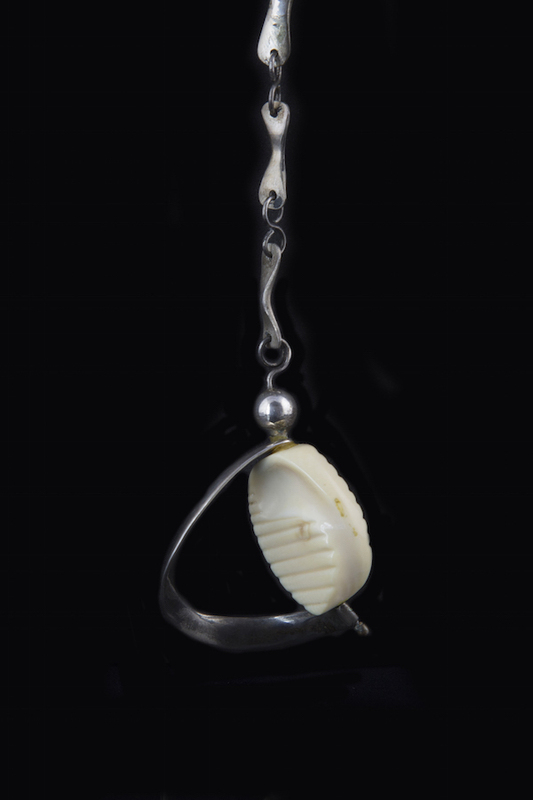 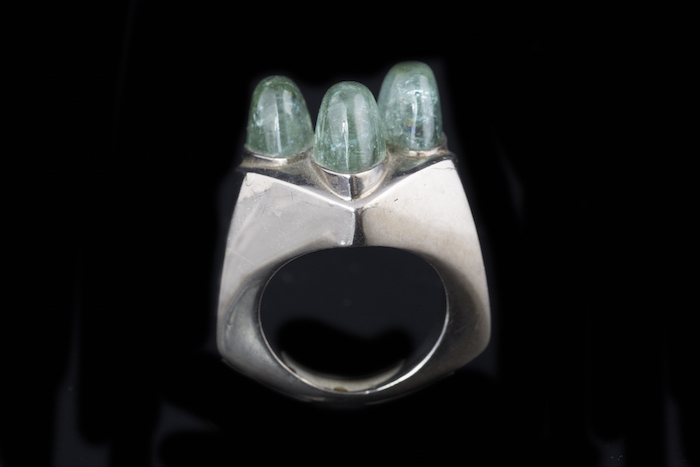 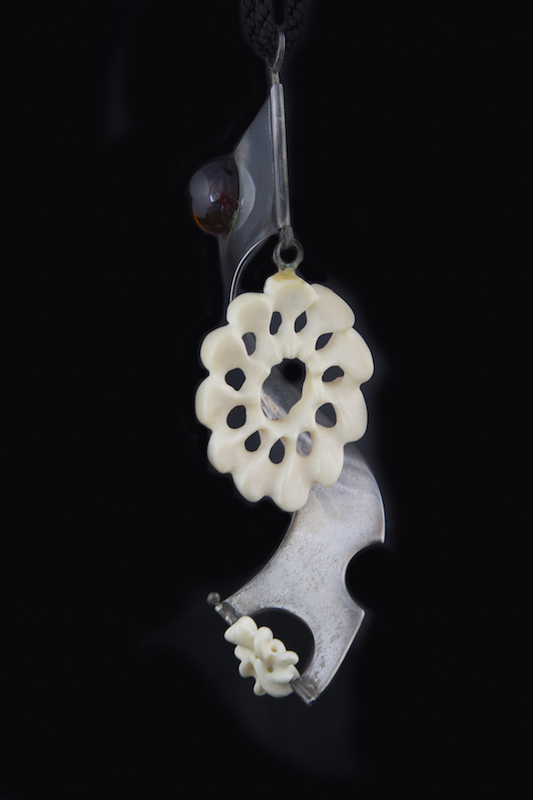 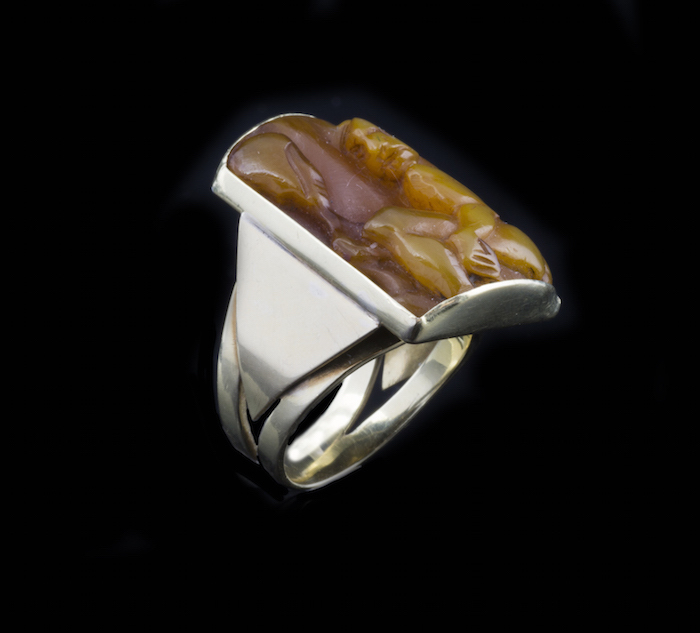 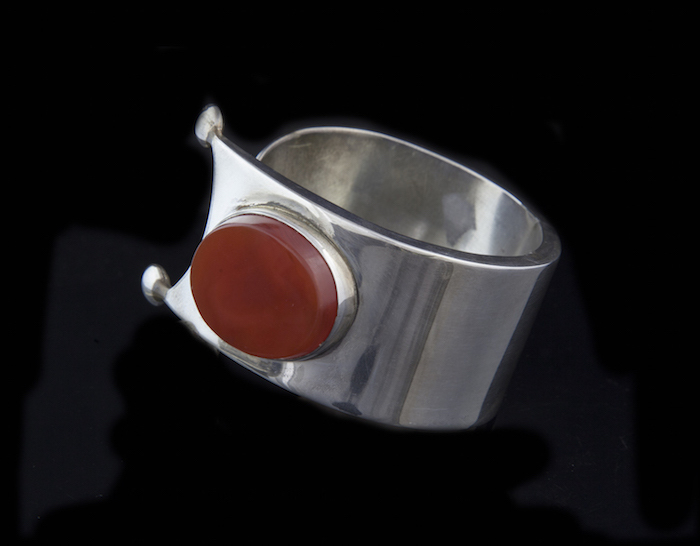 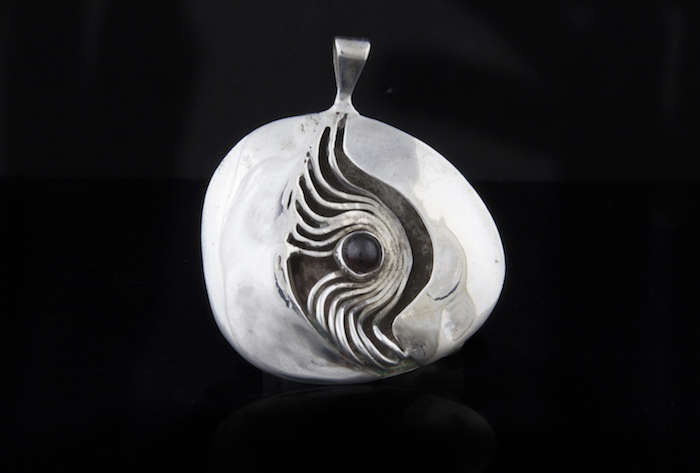 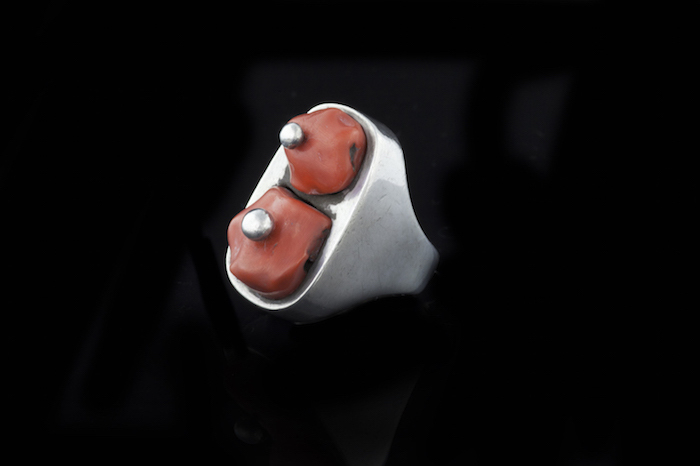 Azaz crafted jewellery for much of his career with pieces typically using cast or beaten silver with mounted semi-precious stones, coral or ivory. 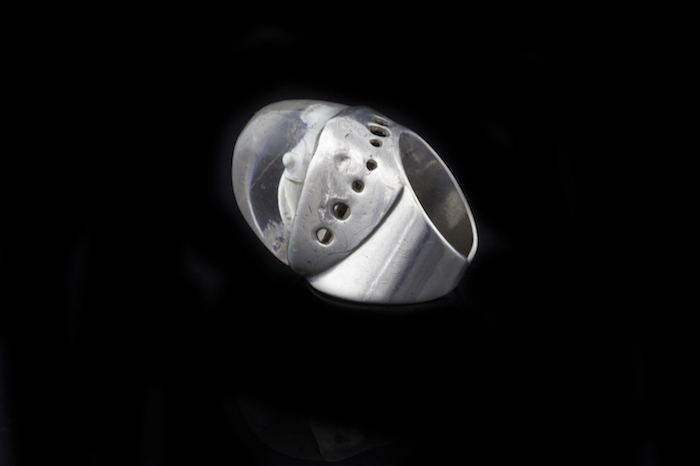 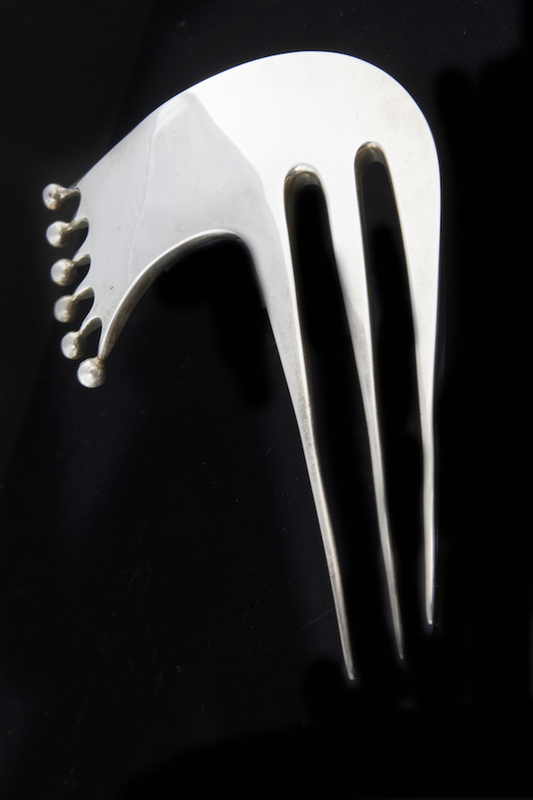 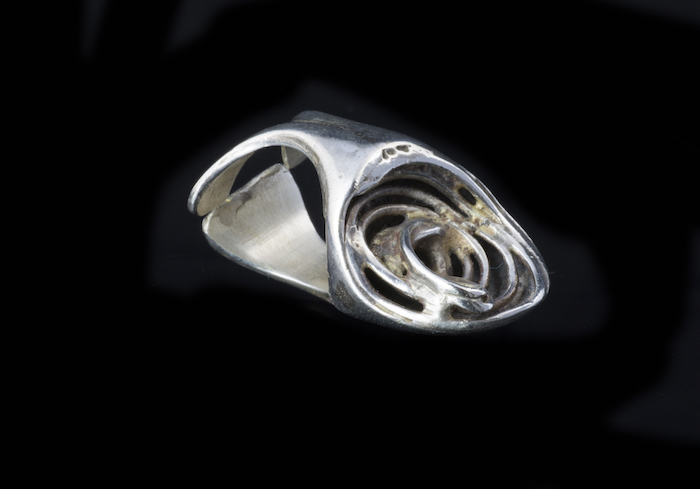 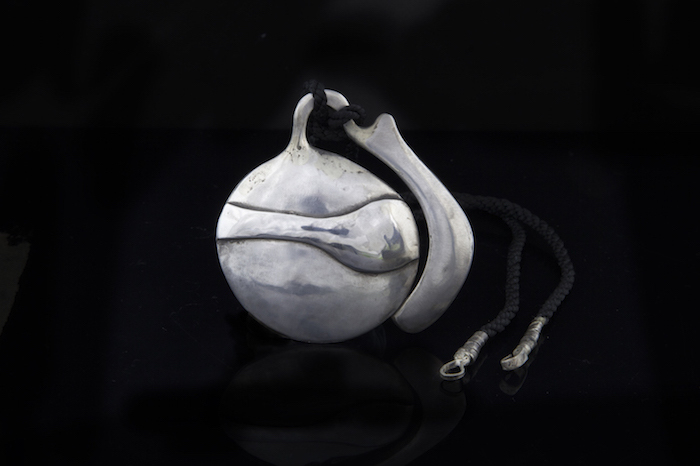 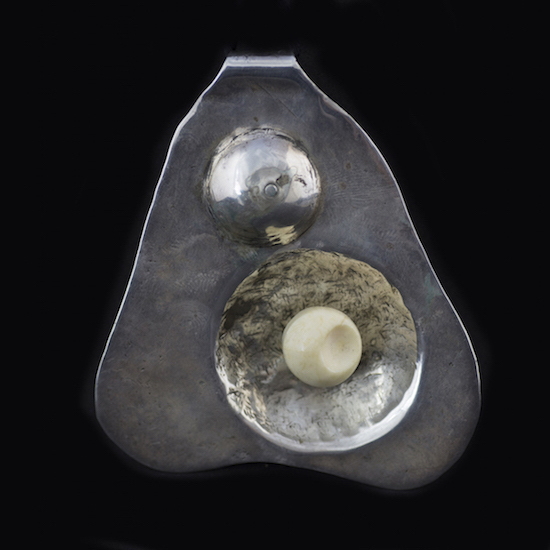 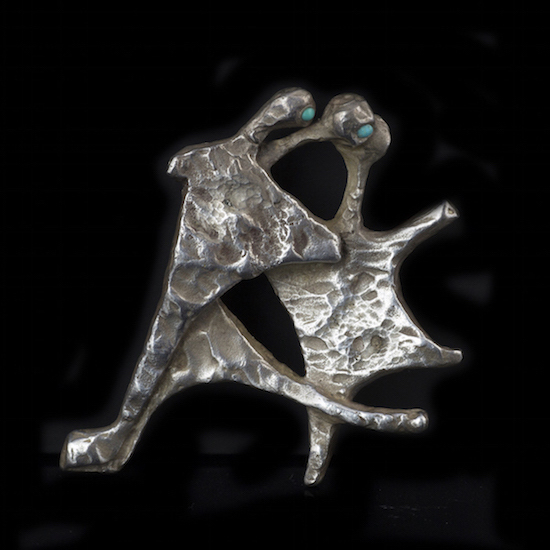 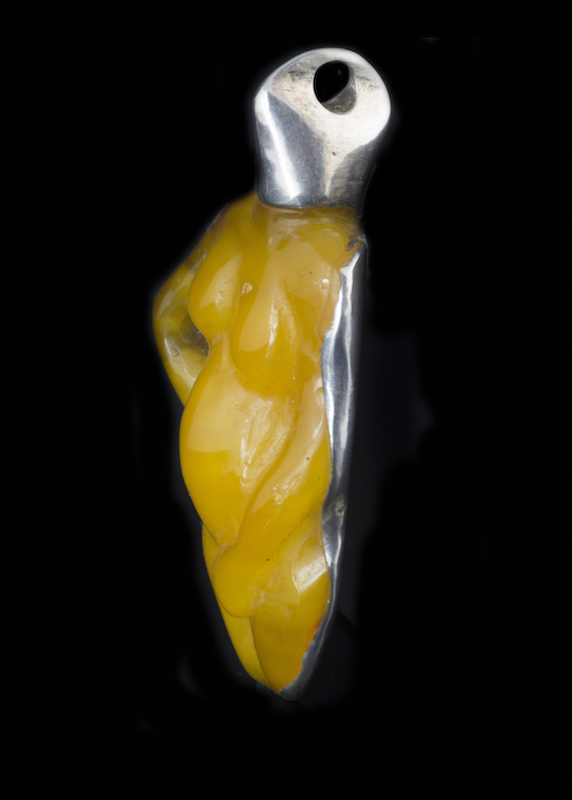 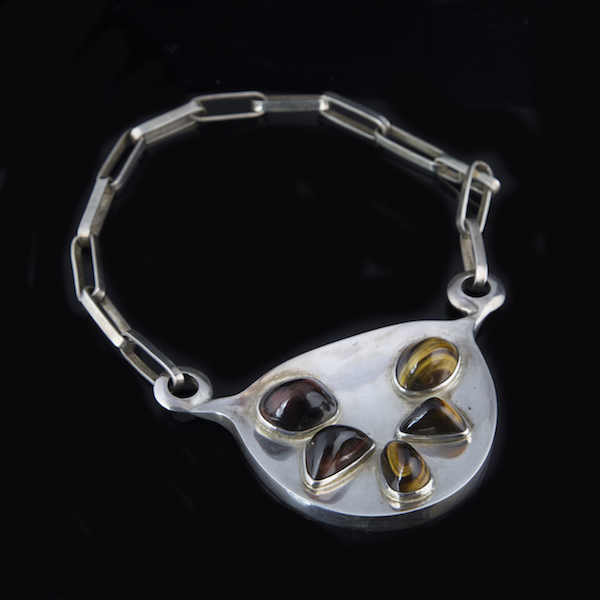 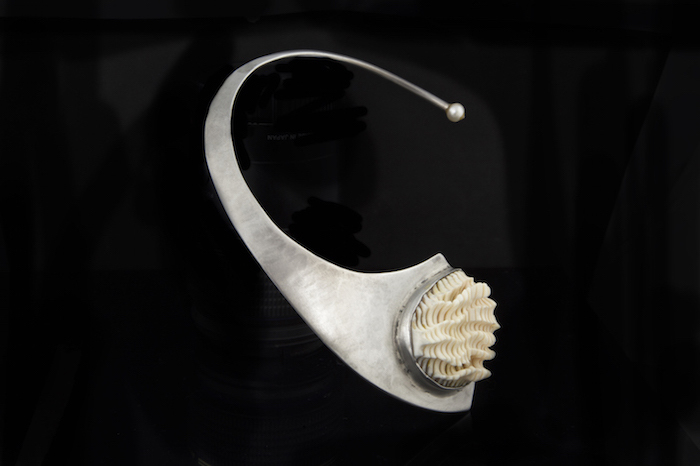 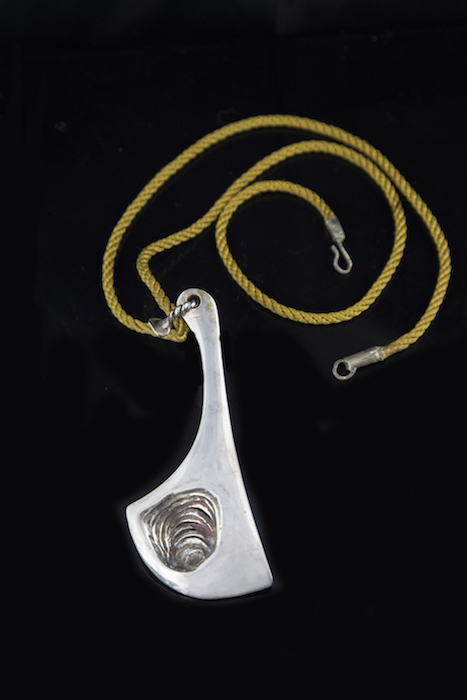 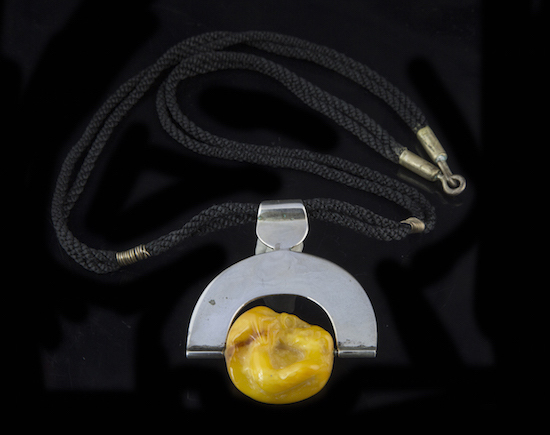 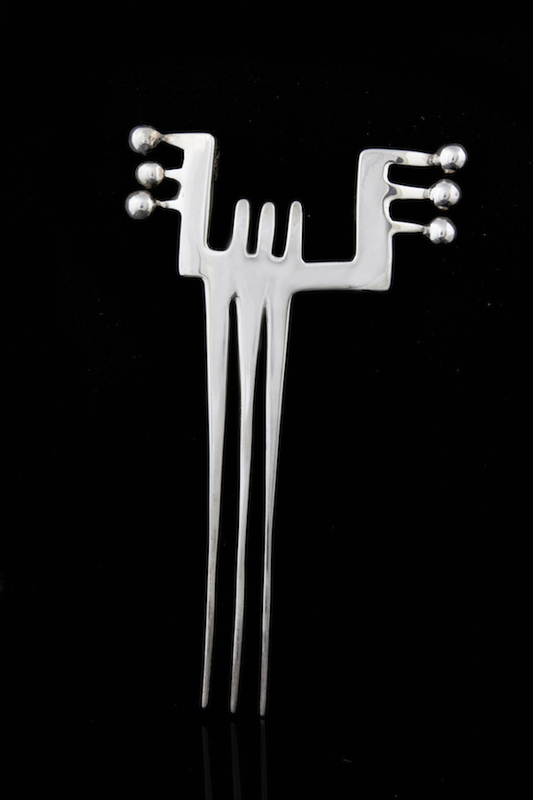 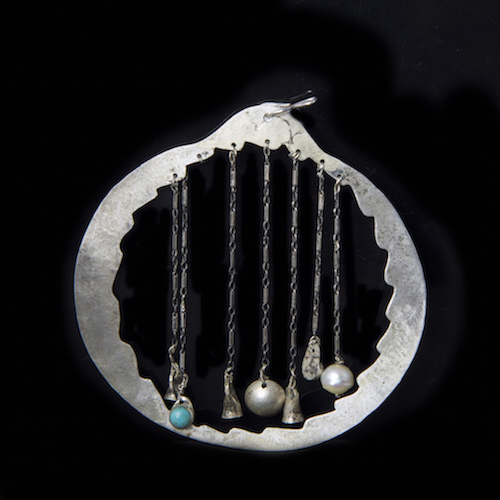 In the 1950s he designed jewellery for the Maskit initiative, working with highly skilled Yemenite silversmiths including Moshe and Chaim Ben David. 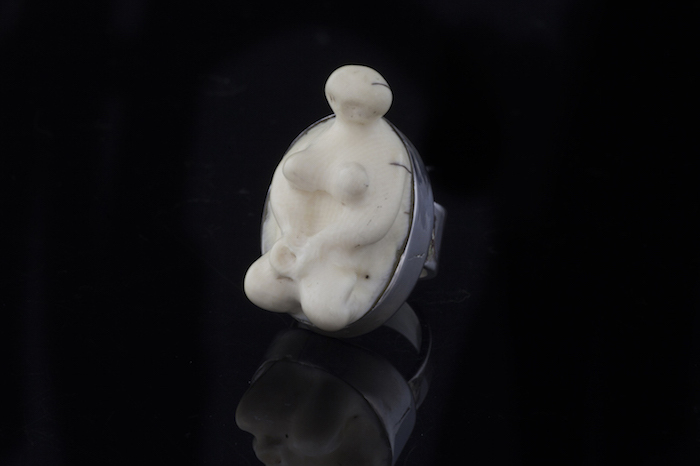 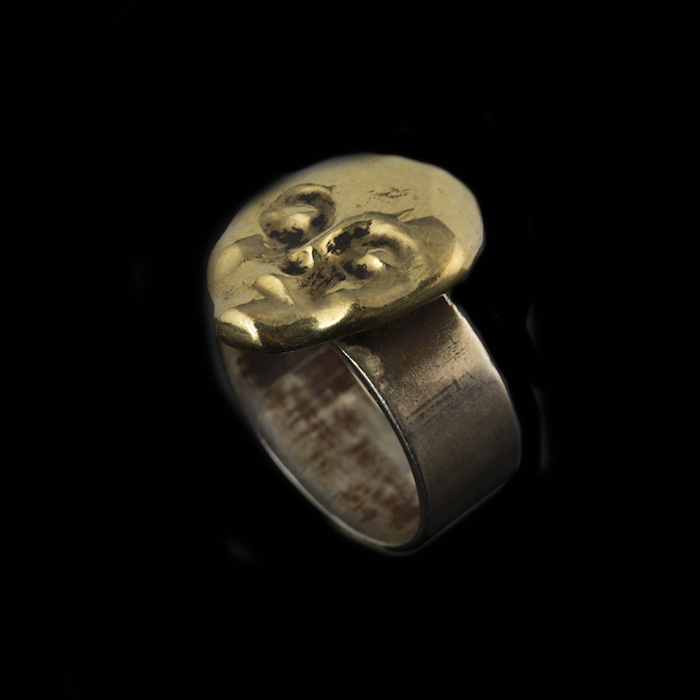 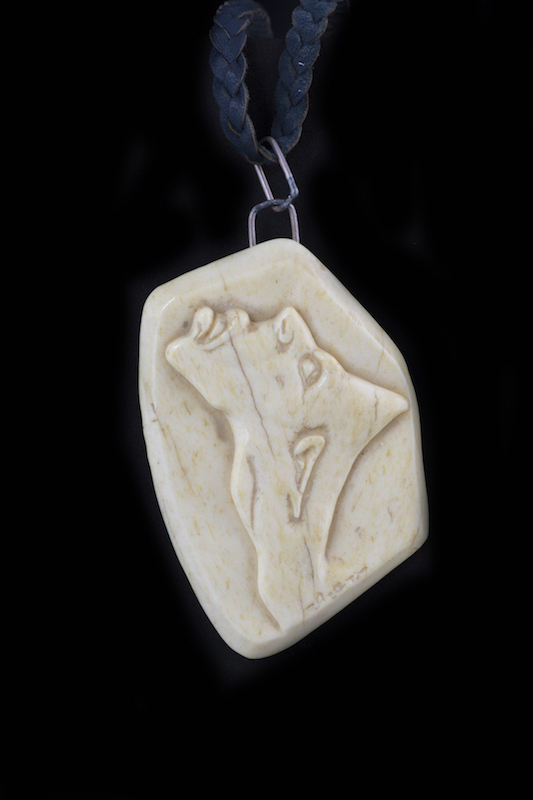 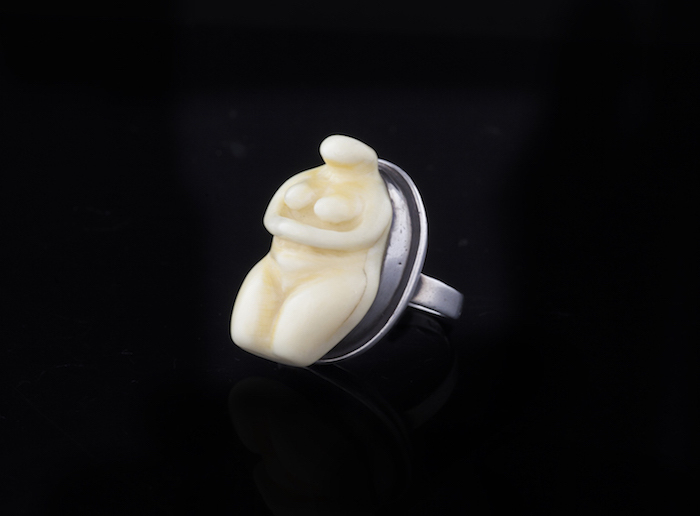 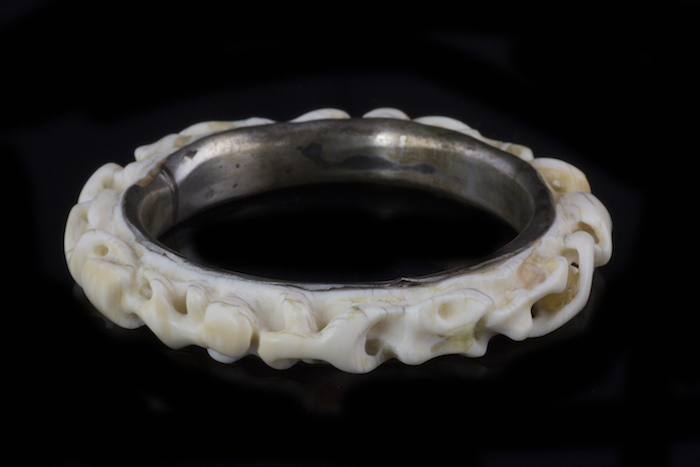 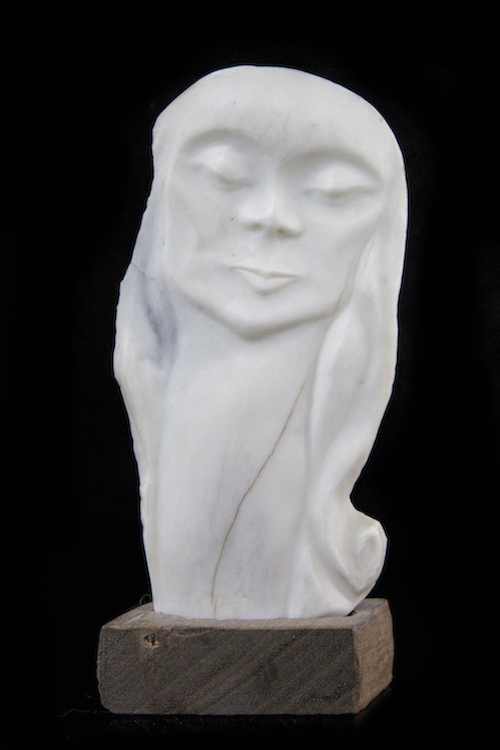 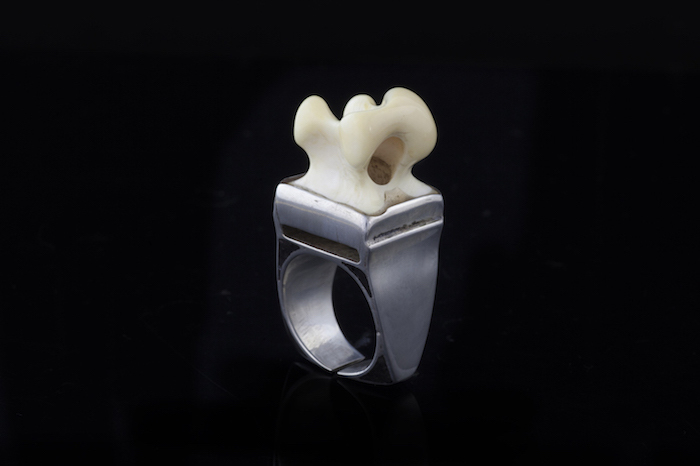 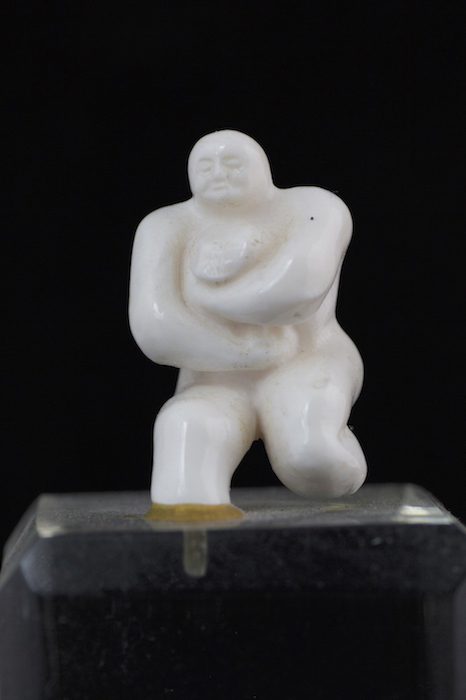 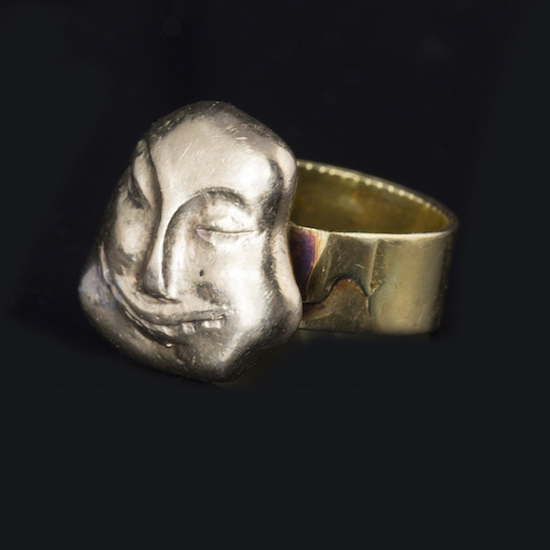 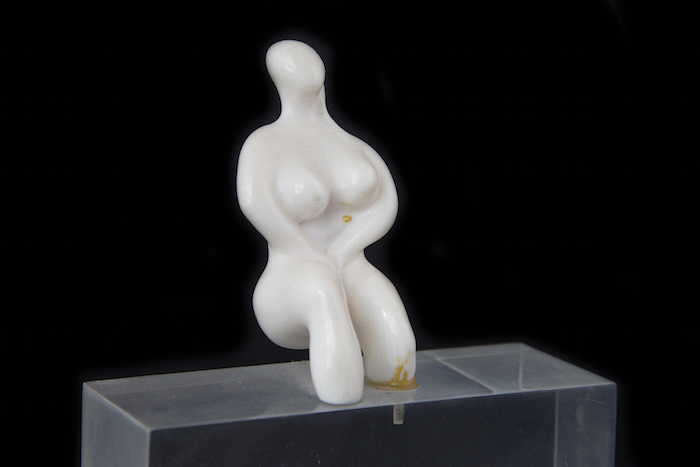 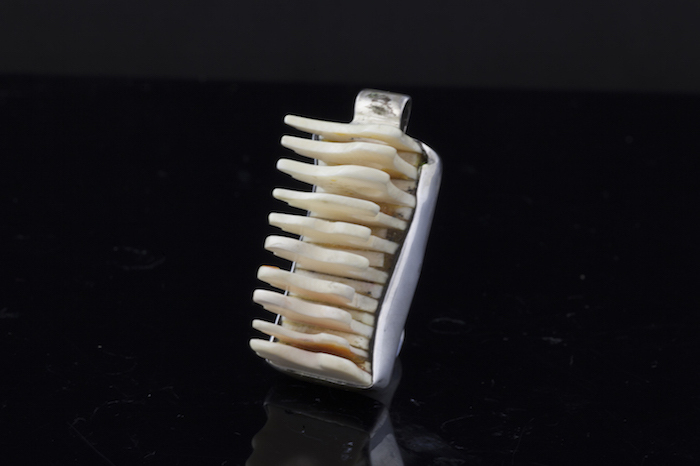 For the jewellery he crafted himself, he often carved miniature sculptures that would then be mounted onto silver. 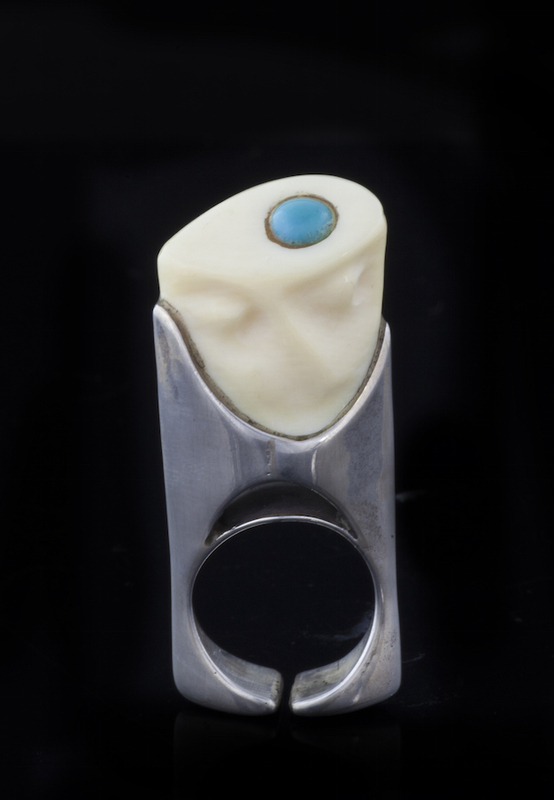 Silver ring with set blue gemstones.